What should I know before I install a metal roof on my home? Old-fashioned tin in a rainstorm, rustic charm and ridge roofs are what always comes to mind when people talk about “metal roofing”. Out of style for a while, metal roofing is making a big comeback in the US. And metal is no longer relegated to country cabins and rustic ranch homes out west. Due to major advances in design and construction, metal roofs are now more elegant, durable, and the are becoming a popular choice among homeowners. As a matter of fact, there are several available options that you can choose from, depending on the look you’re trying to achieve for your dream home. 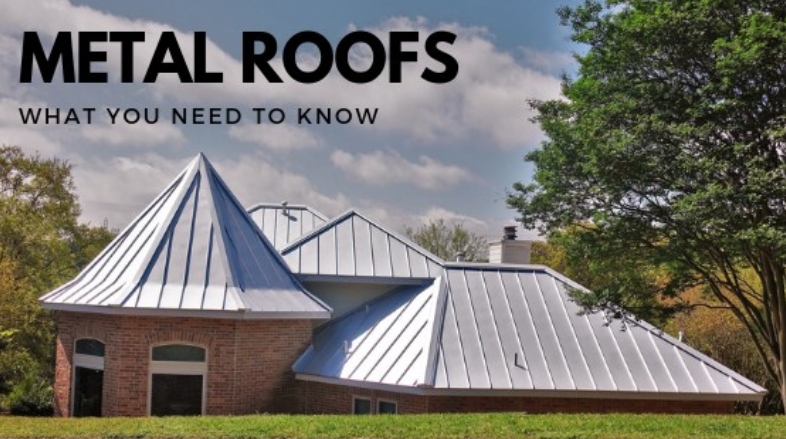 Metal roofing is often made up of recycled materials like copper, tin, aluminum, and galvanized steel that can be designed to look like traditional shingles, but with a sleek and modern twist. Planning on getting a metal roof installed on your home? Here are a few facts that you need to know. Durability: Metal roofs are well-known for being highly durable. In fact, most metal roofs come with a 30–50 years warranty and can survive through the years as your family grows. Another thing to note is that they are extremely light-weight compared to traditional shingles, which makes installation much easier and quicker. Resistance: Metal roofs have a sturdy composition which enables them to better withstand any kind of weather situations such as a hurricane, hail, or heavy rains. On top of that, they are very resistant to rust thanks to modern manufacturing processes. They are fire-proof: Metal roofs are not combustible unless they are laid over with pre-existing flammable materials such as wood shingles. Watertight: Perfect for sealing out water. And because of their slick surfacing, snow buildup can often just slide off quick and easy. Energy-efficient: Metal roofs reflect light. This can save you some money on utility bills during the summer. Especially in the South where we have hot muggy weather from May till early October most years. Like any other roof, a metal roof has a fair share of disadvantages. But the good news is, even their inherit downfalls can be well avoided. They aren’t cheap: Metal roofs cost around $200-$500 per 100 sq. ft. But as mentioned above, since they are so durable, there is a surefire return on your investment, especially if you plan to stay in your home for a long period of time. In addition, this also adds value to your home. Noisy: If you didn’t install soundproofing insulation or sheathing, expect a lot of drumming on your house during strong rains. But who doesn’t find the sound of rain on a roof relaxing? I think I need a nap just from thinking about it! Denting: Generally, metal roofs are prone to hail damage. But manufacturers nowadays, guarantee against denting and even against footprints. Assuming the roof was properly installed by a pro contractor. Slippery: Their slickness is deemed to be beneficial in many ways. But if you tend to walk on top of your house, you’ll have to be very careful with each step as they can be very slippery. However, some metal roofs are already being textured to imitate the look of asphalt shingles, therefore acting as slip guard as well. Metal Roofing — Is it right for your home? Metal roofs are usually almost maintenance-free and easy to clean. However, it can be easily scratched or dulled. If painted, they can easily chip, so you’ll have to recoat after a couple of years. Moreover, they are typically leak-proof but seepage can occur around joints, screws and/or seams. But note that seepage is usually not due to leaks. Instead, it is often caused by condensation that has formed underneath the surface due to improper ventilation during installation. Planning of installing a metal roof? Trust only a professional and licensed roofing contractor like 5 Star Roofing & Restoration and get the most out of your investment. 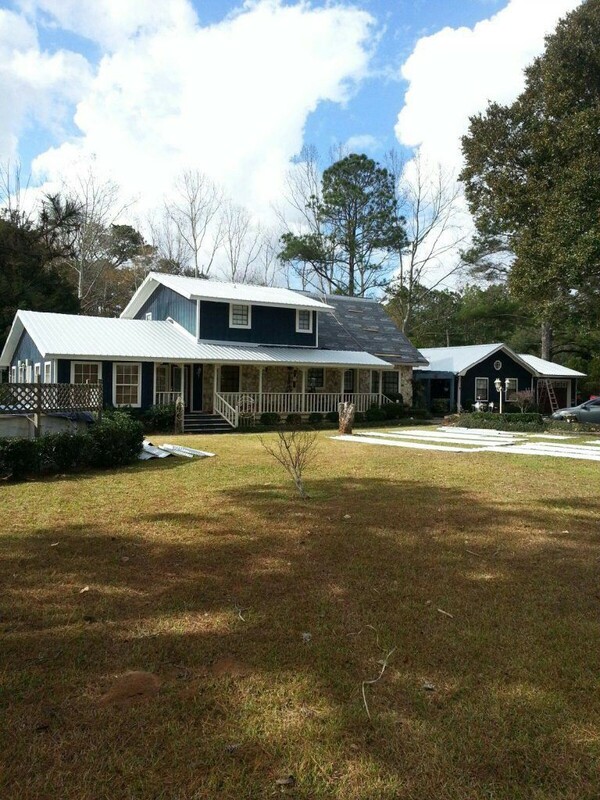 You can also contact us at 205.518.8433 and get a free estimate on residential metal roof work. Originally published at 5starroofer.com on November 25, 2018.